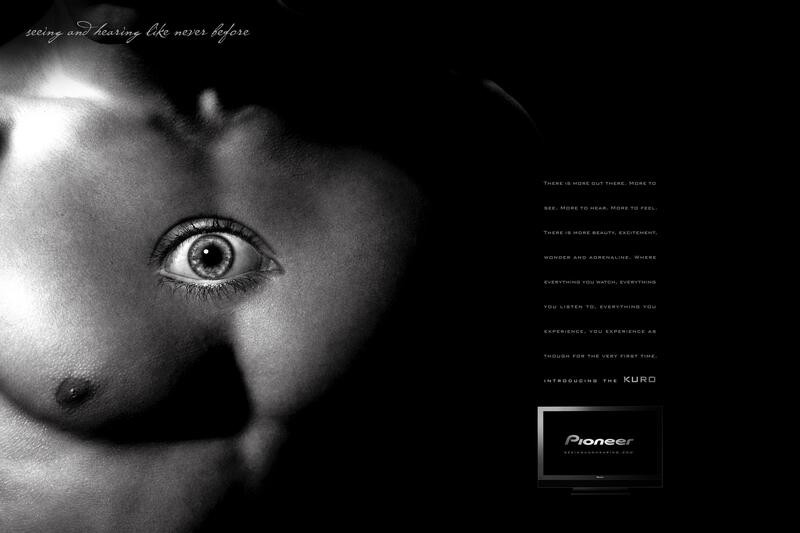 Pioneer has introduced the KURO television with a quirky print campaign celebrating the body’s capacity for multi-sensory experience. The ads present eyes placed in hands, chests and foreheads, over a black background. 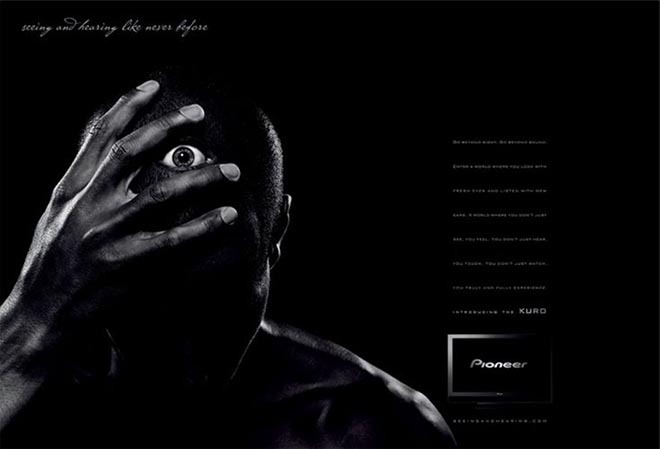 The tagline: “Pioneer – Seeing and Hearing Like Never Before”. Go beyond sight. 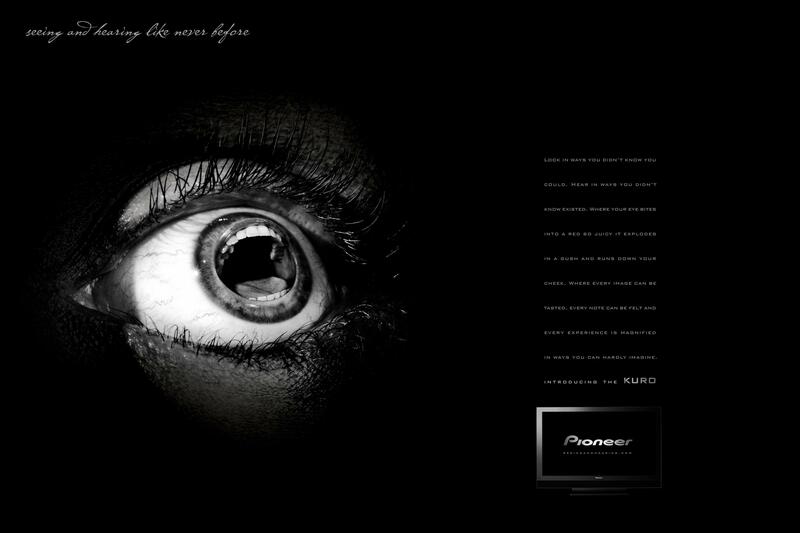 Go beyond sound. Enter a world where you look with fresh eyes and listen with new ears. A world where you don’t just see, you feel. You don’t just hear, you touch. You don’t just watch, you truly and fully experience. 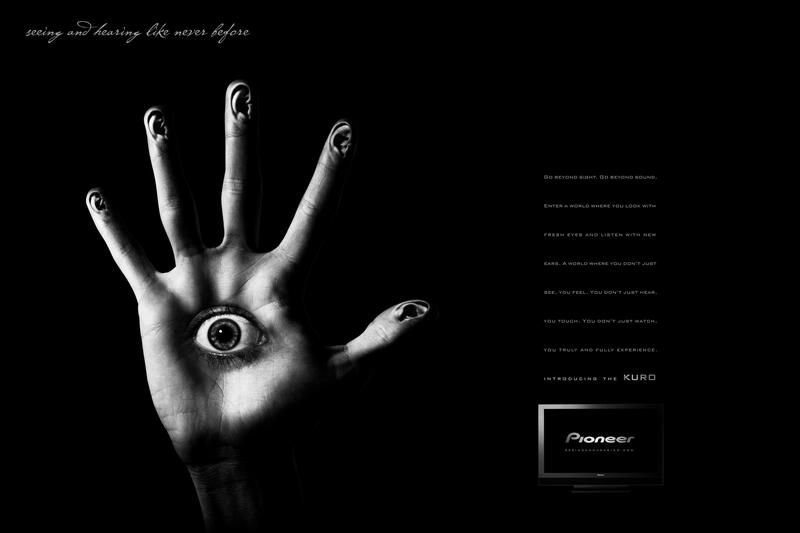 Introducing the KURO. Look in ways you didn’t know you could Hear in ways you didn’t know existed. Where you eye bites into a red so juicy it explodes in a gush and runs down your cheek. Where every image can be tasted, every note can be felt and every experience is magnified in ways you can hardly imagine. There is more out there. More to see, more to hear, more to feel. There is more beauty, excitement, wonder and adrenaline, where everything you watch, everything you listen to, everything you experience, you experience as though for the first time. 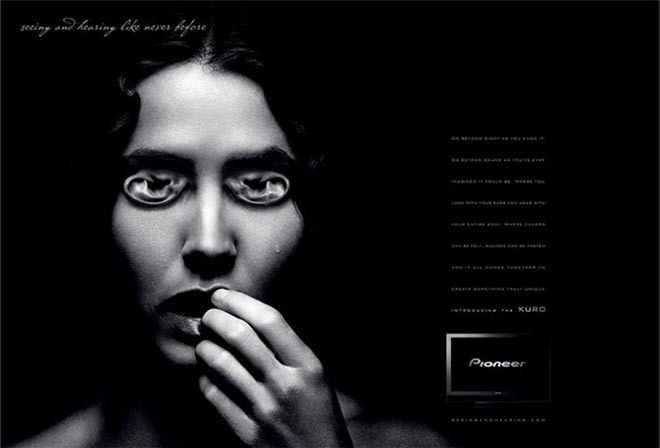 The Pioneer Seeing and Hearing print series is part of a wider advertising campaign developed at TBWA\Chiat\Day, by worldwide creative director Lee Clow, creative director Jerry Gentile, copywriter Gage Clegg and art director Becca Morton, with photographer Nadav Kander.